New Delhi, April 14 (IANS) As the Opposition parties on Sunday raised doubts over the reliability of electronic voting machines and demanded the Election Commission (EC) for Voter Verifiable Paper Audit Trail (VVPAT) of 50 per cent of the EVMs, the Bharatiya Janata Party (BJP) described it as their confession of defeat. "The so-called all-party meet is nothing but a confession of defeat. They do not have any governance agenda or leadership to inspire the people. 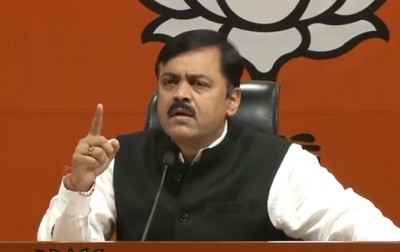 The only thing they have in common is negativity and an attempt to somehow pull India back from the development it has witnessed in the past five years," BJP spokesperson G.V.L. Narasimha Rao said here. "They have not only failed as an Opposition, but also failed to mount a challenge to the BJP in the elections," said Rao. Addressing the media, leaders from 21 political parties asked the EC to increase the number of randomly verified EVMs, failing which they would file a fresh plea in the matter or will move a review plea. The parties said the EC had "failed" the country and its people by not taking these issues seriously.